In Kidz Bop Dance Party! 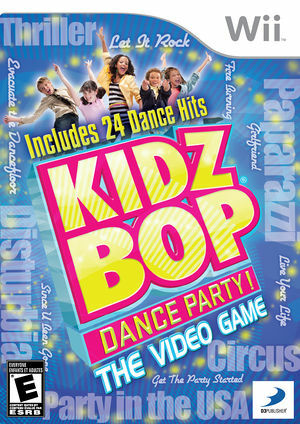 The Video Game players create the ultimate dance party in their living rooms as they move and groove to 24 chart-topping KIDZ BOP hits 'sung by kids for kids' such as "Paparazzi," "Party in the USA," and "Thriller," appealing to family members of all ages. The graph below charts the compatibility with Kidz Bop Dance Party! The Video Game since Dolphin's 2.0 release, listing revisions only where a compatibility change occurred.